We are the well-recognized Manufacturer, Exporter & Supplier of excellent quality Boiler Bed Material. Made using quality refractory aggregates of high alumina contents & dense texture, our Boiler Bed Material is known for its low ferric high temperature and zero impurities. 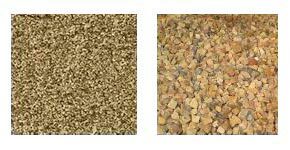 Moreover, we make use of such raw materials which limits the clinker formation. Owing to its special characteristics, our Boiler Bed Material is ideal for achieving smooth and perfect fluidization in boilers like Circulating Fluidized Bed Combustion Boilers (CFBC) and Fluidized Bed Combustion Boilers (FBC).